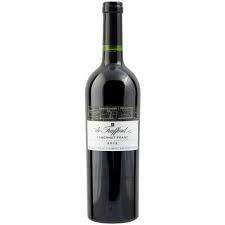 This Merlot (86%) (Cabernet Sauvignon 10%, Malbec 3%, and Cabernet Franc 1%) originates from Napa Valley California. Specifically, Yountville and St. Helena vineyards. These grapes were harvested by hand at night. Cold soak occurred for a week on the skins followed by malolactic fermentation in stainless steel. Aged 17 months in French and American Oak. This is a Hershey’s lover’s dream. Super rich flavor of chocolate throughout with just a hint of spice. The best part of this wine is the finish. The chocolate notes really their peak as the wine finishes. It goes and goes… This wine is best served with your favorite type of burger and friends! Close your eyes and imagine yourself in a field of wildflowers. You will experience lychee, citrus and honey. There is decent body and weight to this wine. Look forward to a creamy finish! This wine is best served with friends and light fare (or no food at all)…save this one for the next sunny day where you can enjoy this one outside. 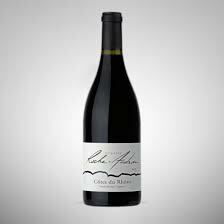 This 100% Grenache originates from the Cotes du Rhone Villages appellation of France. Vines range from 55 to 100 years old with extremely low yields (25-35 hectoliters per hectare). Grapes are harvested by hand . Maceration takes place over several weeks. The wine is aged for 12 months in 1 to 3 year old barrels and tronconic oak tanks. This is one of Nirvana’s all time favorite wines. It does not get much better than a 100% Grenache from Domaine Roche-Audran. 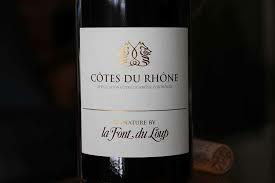 You will get a ton of spicy dark fruit with a dry finish. More specifically, black raspberry, black pepper, and sugar plums. This wine is best served right now or in 10-15 years. Try it with venison or your favorite BBQ and your friends. This Cabernet Sauvignon (75%) (Petit Verdot 9%, Merlot 8%, Malbec 4%, and 4% Cabernet Franc) originates from Napa Valley California. More specifically, the La Londe estate vineyard, which is located near the base of Mount George. Aged 18 months in Chateau-style French oak (40% new). Case production is 2,366. Robert Craig only makes high end wine. So needless to say, all of their wines are fantastic. All of their Cabs consistently score in the low-mid 90s (The Wine Advocate). This Cabernet Sauvignon is their response for a demand for a wine with that same high quality at a more approachable price. This wine delivers and then some. You will get amazing espresso, cherry, and lots of oak. 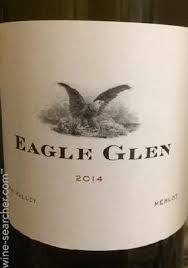 If you like Cab Sauvs, you will love this wine! Best served with a big, juicy, ribeye steak, and only your favorite friends. This 100% Chardonnay originates from the Sta. Rita Hills of California. 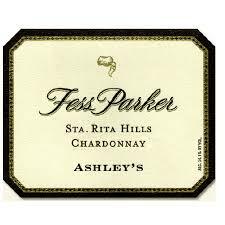 Specifically 84% Ashley’s Vineyard and 16% Parker West Vineyards. Fermentation takes place in 39% new French oak for 9 months. Production is 1,439 cases. Previous vintages have been rated between 90-93 points. 2015 has yet to be rated. This what we would call an “easy chard.” It is approachable and fun. Any Chardonnay drinker would enjoy this one. You will get lots of green apple and even lemon cream as well. Just in time for the weather to start warming up. This wine is best served with friends and family with Parmesan polenta fries. This 100% Cabernet Franc originates from South Africa. Specifically Keermont Vineyard (60%) and Mont Fleur (40%) located south of Stellenbosch. Grapes were destemmed and crushed by hand and underwent malolactic fermentation in barrels (35% New French Oak). Vines range in age from 5 to 9 years old. Production is limited to 189 cases. What a unique find. We really did our homework on this one to find you an exceptional wine to impress even your most picky wine loving friends. This is the wine you pull out when you are ready for something different. You will get bright light fruit with a spicy dryness. Can you pick up on the cedar? It’s delightful! This wine is best served now or within the next 10 years. Try it with roast duck or sausage and friends!